A simple chemistry method could vastly enhance how scientists search for signs of life on other planets. The test uses a liquid-based technique known as capillary electrophoresis to separate a mixture of organic molecules into its components. It was designed specifically to analyze for amino acids, the structural building blocks of all life on Earth. The method is 10,000 times more sensitive than current methods employed by spacecraft like NASA’s Mars Curiosity rover, according to a new study published in Analytical Chemistry. The study was carried out by researchers from NASA’s Jet Propulsion Laboratory, Pasadena, California. Mono Lake, California, with salt pillars known as "tufas" visible. JPL scientists tested new methods for detecting chemical signatures of life in the salty waters here, believing them to be analoges for water on Mars or ocean worlds like Europa. Image Credit: Mono County Tourism. One of the key advantages of the authors’ new way of using capillary electrophoresis is that the process is relatively simple and easy to automate for liquid samples expected on ocean world missions: it involves combining a liquid sample with a liquid reagent, followed by chemical analysis under conditions determined by the team. By shining a laser across the mixture — a process known as laser-induced fluorescence detection — specific molecules can be observed moving at different speeds. They get separated based on how quickly they respond to electric fields. While capillary electrophoresis has been around since the early 1980s, this is the first time it has been tailored specifically to detect extraterrestrial life on an ocean world, said lead author Jessica Creamer, a postdoctoral scholar at JPL. 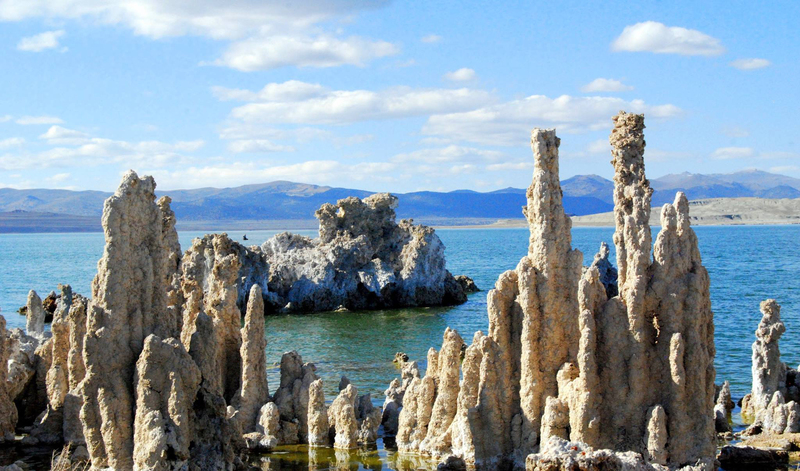 The researchers used the technique to analyze amino acids present in the salt-rich waters of Mono Lake in California. The lake’s exceptionally high alkaline content makes it a challenging habitat for life, and an excellent stand-in for salty waters believed to be on Mars, or the ocean worlds of Saturn’s moon Enceladus and Jupiter’s moon Europa. The researchers were able to simultaneously analyze 17 different amino acids, which they are calling “the Signature 17 standard.” These amino acids were chosen for study because they are the most commonly found on Earth or elsewhere. “Using our method, we are able to tell the difference between amino acids that come from non-living sources like meteorites versus amino acids that come from living organisms,” said the project’s principal investigator, Peter Willis of JPL. Key to detecting amino acids related to life is an aspect known as “chirality.” Chiral molecules such as amino acids come in two forms that are mirror images of one another. Although amino acids from non-living sources contain approximately equal amounts of the “left” and “right”-handed forms, amino acids from living organisms on Earth are almost exclusively the “left-handed” form. It is expected that amino acid life elsewhere would also need to “choose” one of the two forms in order to create the structures of life. For this reason, chirality of amino acids is considered one of the most powerful signatures of life.